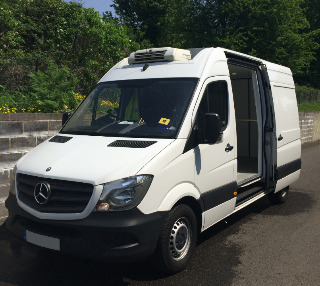 The Wiltshire-based medical equipment company, which runs a fleet of Mercedes Sprinter and Ford Transit vans, undertook the move to gain full peace of mind about the traceability of its goods, as well as the ability to react quickly to any alerts for possible load temperature deviation. The medication carried by the firm has to be transported in a controlled ambient environment with no deviation outside of the prescribed 5°C and 25°C temperature band. Parry commented: “Within the body of the vans, the products can be heated and cooled independently, dependent on the season and time of the year. We have always used the TranScan data logging system to run alongside our palm size temperature loggers for 24/7 verification and also for important functions such as printing off journey tickets at the final delivery locations. “Recently, we added the Cool Track remote tracking facility and that has enhanced the level of service we can give to our customers even further. We can now ensure full traceability of the goods and the vehicle at all times, whilst also remotely track the temperature and act upon any alerts when the internal temperature deviates from the set points. The system also warns us of any possible power failure, enabling us to implement the quickest possible response,” he added.